View from Girton Road Crossing Histon looking north west towards Oakington after the Down line had been lifted at this point. 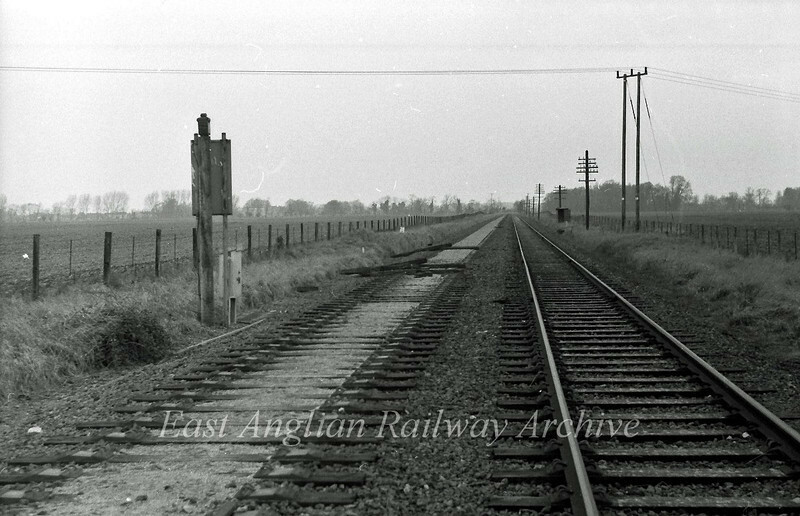 Approximately near the twin power line posts was the red semaphore stop signal for the gates and below it Histon station's, motor driven, outer distant. 18th January 1976.